Which of the following is a complex sentence? Spot the complex sentences! 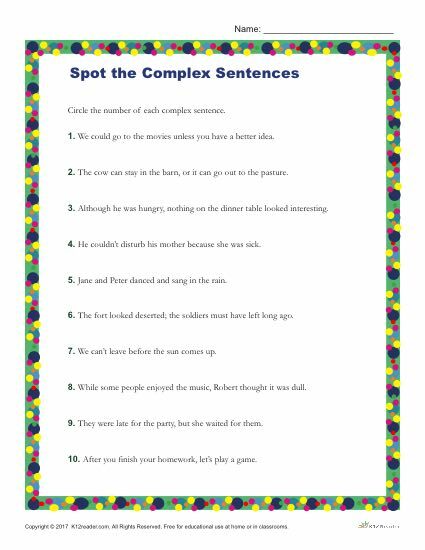 This printable activity focuses on improving students’ reading and writing skills by focusing on sentence structure. Students will complete the activity by reading through the given sentences and circling the number of each complex sentence. This activity is great for practice both at home and in the classroom by parents, teachers, and students. Ideal for 3rd – 5th grade students, but can be used where appropriate. Download and print the activity by clicking the link below to get started.